The Lovings: An Intimate Portrait documents the extraordinary love story of Mildred and Richard Loving. 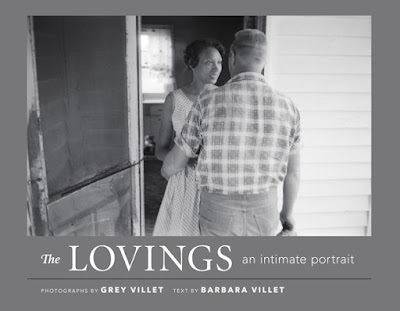 The Lovings presents Grey Villet's stunning photo-essay in its entirety for the first time and reveals with striking intensity and clarity the powerful bond of a couple that helped change history. Mildred, a woman of African American and Native American descent and Richard, a white man, were arrested in July 1958 for the crime of interracial marriage, prohibited under Virginia state law. Exiled to Washington, DC, they fought to bring their case to the US Supreme Court. Knowledge of their struggle spread across the nation, and in the spring of 1965, the Life magazine photojournalist Villet spent a few weeks documenting the Lovings and their family and friends as they went about their lives in the midst of their trial. Loving v. Virginia was the landmark US civil rights case that, in a unanimous decision, ultimately ended the prohibition of interracial marriage in 1967. Grey Villet (1927--2000) was an award winning photographer and photojournalist who worked at Life magazine for more than thirty years. Barbara Villet is an author and journalist who was a photo editor at Life and collaborated on many of Mr. Villet's projects. One of photojournalism's most distinguished practitioners, Pulitzer Prize winner Stephen Crowley of the New York Times credits the influence of a Grey Villet Life essay with his decision, at age nine, to become a photographer. Monroe Gallery will exhibit rare vintage prints from GreyVillet's Loving's photo essay on our booth #53 4during the AIPAD Photography Show in New York March 30 - April 2. A special book signing of The Lovings with Barbara Villet will take place in our booth # 534 on Saturday, April 1, from 3 - 4 PM. "the exhibit is a reminder that photojournalism is a vital and necessary component of a free society"
"Schapiro’s historic photographs are made more timely with the recent Presidential campaign and election. President Trump’s recent criticisms of civil-rights leader John Lewis drew widespread criticism and have done little to reassure those uneasy about the transition from the nation’s first black president to a president still struggling to connect with most nonwhite voters. This was the first presidential election since the gutting of the Voting Rights Act., and in recent days President Trump has promised a “major investigation of voter fraud” that he says cost him the popular vote, despite bipartisan condemnation of his allegations and the conclusion of Mr. Trump’s own lawyers that the election was not tainted. There are concerns Attorney General Nominee Jeff Sessions may further roll-back civil-rights protections. Steve Schapiro’s photographs of the civil rights era not only brought awareness to the injustice of it all; they made people feel the injustice. Coupled with the new administrations attacks on the press, the exhibit is a reminder that photojournalism is a vital and necessary component of a free society." Sidney and Michelle Monroe are the directors of the eponymous gallery in Santa Fe, USA. February 10 through April 23; 2017.